In 1914, Rachael Elmer, a successful artist and book illustrator, decided to create post cards for the city she loved and had adopted as her home. Her efforts would result in the first American published, artist-drawn post cards. 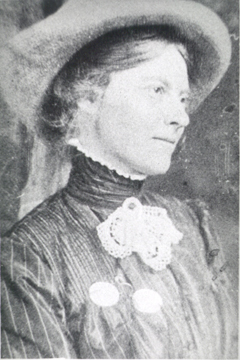 Born in Ferrisburgh, Vermont in 1878, Rachael Robinson was the oldest daughter of Rowland E. and Anne Stevens Robinson. Quakers by faith and farmers by profession, the Robinsons had a passion for learning, and the young Robinson children were encouraged to follow their dreams of being professionals. 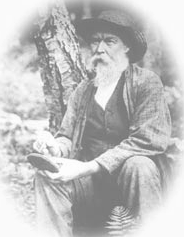 Rachael's brother, Rowland Thomas Robinson, inherited the family farm, pioneered many new agricultural practices, and lived there until his death in 1951. 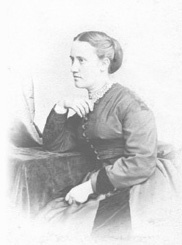 Mary Robinson, Rachael's younger sister, attended the University of Vermont and studied art and botany and later enjoyed a career as a botanical artist and textbook illustrator. Rachael made her first trip to New York City at age 12 to study drawing in the studio of Max Ernst. 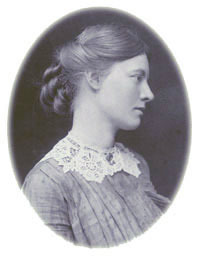 She spent twelve weeks as his student and his influence was evident in Rachael's work for the rest of her life. At the family home in Vermont, in 1911, Miss Robinson married Robert France Elmer, a New York City insurance executive and banker. They moved to New York and while Robert pursued his career on Wall Street, Rachael found time for Red Cross volunteer work and her art. Before their marriage Rachael had studied for several semesters at the New York Art Students League with eminent professors, the likes of Childe Hassam, Winston Cox, and John Henry Twachtman. Now she was using what she learned from the giants of American Impressionism to create her own views of New York City. 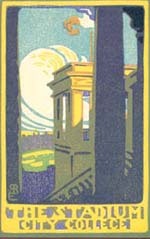 Mrs. Elmer's second set of post cards was published in Burlington, Vermont, in 1916 as part of the Biennial Celebration of the Association of Women Painters, Artists and Sculptors. The set included six creative woodcut block prints, each with a unique post card back. The views are the Times Building, the Stadium at City College, the Statue of Liberty, Grant's Tomb, the Woolworth Building and a very imaginative image of the Brooklyn Bridge. At Mrs. Elmer's ancestral home in Vermont, now the Rokeby Museum, the visitor can look through her childhood bedroom, see dozens of her sketch books and read many of the hundreds of letters that she wrote to her mother and father during her years in New York. Rokeby is a National Historic Landmark on a 90-acre historic site located along U.S. Route 7 in the village of Ferrisburgh. This museum is one of the little known gems of New England. The Robinson traditions are those on which America was built. The farm was once a stop on the Underground Railroad, thus it is truly a place where history comes to life. For information call (802.877.3406) or visit their website at: www.rokeby.org. Eighteen post cards - the sum total of Rachael Elmer's post card artistry. With that effort she changed the world of American post cards. Along with others in the Robinson family, Mrs. Elmer is considered an American pioneer in the truest sense. She brought beauty to the black and white world of the American post card. She died on February 12, 1919, a victim of the Spanish Influenza epidemic.